In 2005, the same year Joshua Ferry stepped onto the Maine exhibition stage with a large painting in the Portland Museum of Art Biennial, he created a painting entitled “Delegates” that spelled out his Maine aesthetic heritage. 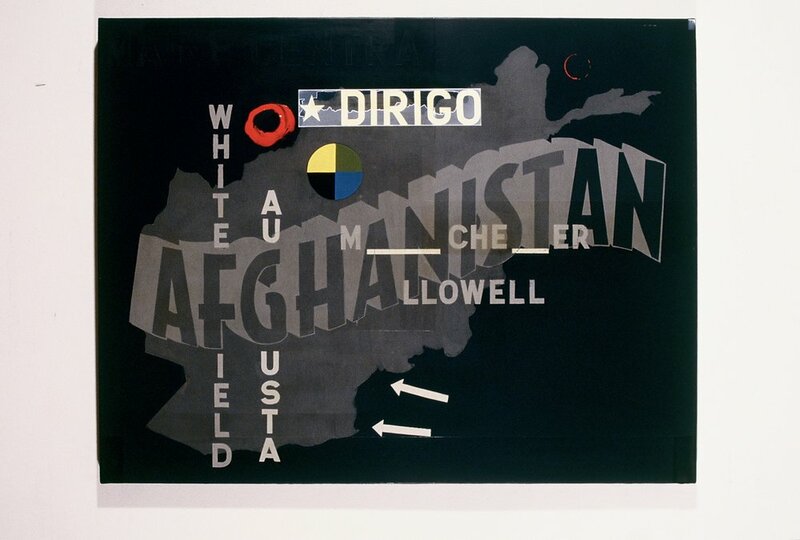 In a painted word style reminiscent of Robert Indiana, Ferry listed the Maine painters who had influenced him - Lynch, Bray, Ross, Cambronne, Bradford, Indiana, Hartley, Jacquette, Dodd, Bell, Welliver, Wethli, Parker, Mayers, Cady, Higgins, Frederick. The painting that propelled Josh Ferry to public attention in the 2005 PMA biennial was “Casket,” an abstracted image of a flag drapped casket, just three receding red stripes and four white against a field of green. Part of his 2004 - 2006 War Series, “Casket” embodied Ferry’s ongoing commitment to painting along the edge between representation and abstraction, informing his formalism with social and emotional content. The War series was a response to the wars in Afghanistan and Iraq and to the fact that the artist had three older brothers in the military. 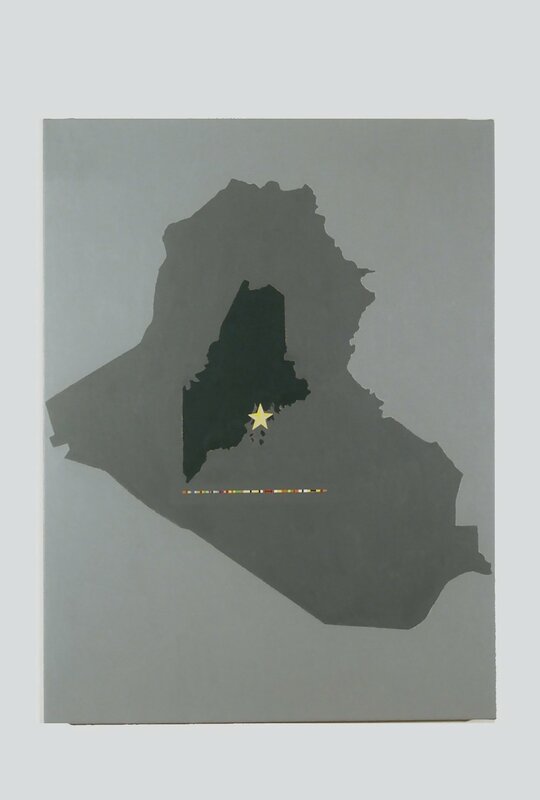 Wrestling with war and thinking of Maine [he lived in New Jersey at the time], he created paintings that imagined Maine under attack, bombs being dropped on Bangor International Airport for instance. When George W. Bush was re-elected in 2008, despite, or perhaps because of the protracted wars, Ferry says he began to lose heart and took refuge in a more formalistic approach to painting. What began as grid or checkerboard abstractions soon morphed into paintings of multiple crosses.